Before coming to Mongolia, I could count on one hand how many times I had cooked a meal entirely independently (exactly five times). My mother was worried I would slowly starve, returning to the States merely as a sack of skin and bones. Luckily, that has turned out not to be the case. During PST, I lost about 12 pounds of which I have gained back about 5 since being at site. This most likely has to do with cooking becoming a staple in my life. Peace Corps Volunteers crave aspects of their life which they can control. So many decisions are made for us or only with permission, from travel to adopting pets. As a result, volunteers focus on the parts of life which are under their control. Female volunteers, for example, frequently go through various hair styles and even colors in an attempt to have some semblance of control. While I have opted not to go this route, I have realized that cooking has become that anchor for me. It’s difficult to go out to a restaurant outside of UB and find food that really satisfies my cravings. Therefore, it’s up to me to cook the food I want. What does this mean for me? Foods that use spices, most commonly, Hungarian spices. There’s little that can make a person feel more at home than food. Evenings are now spent watching Netflix, doing Zumba, and cooking when I’m bored. I never thought I would be experimenting with spices and various meals, especially in a foreign country with limited supplies. I’m lucky that I can at least find meat besides mutton. The chicken in Arvaikheer comes as chicken drumsticks, breaded strips, or plain chicken breast. Unfortunately for soum dwellers, only mutton and occasionally breaded drumsticks can be found in rural areas of Mongolia. Furthermore, they have fewer vegetables. While I can find bell peppers, tomatoes, cucumbers, zucchini, onions, squash, turnips, carrots, and occasionally rotten avocados, soum dwellers have a more challenging time finding vegetables. In some cases, people are happy they can even find peppers, let alone tomatoes, most of which are rotten. In any case, the spices, which perfect meals, are limited, so I’m grateful for the spices I brought from America or that have been sent to me. Among them are: Hungarian paprika, Old Bay, thyme, cinnamon, cinnamon sticks, vanilla bean, vanilla sugar (which can be bought in Mongolia), and Jamaican jerk. Here in Mongolia, I bought: basil, dried parsley, salt, pepper, and cumin. I’ve also made ample use of pickle juice for marinating chicken. Using these spices, it has been pretty easy to cook foods that remind me of home. I only have a stove top with two heaters, so unfortunately, I can’t make foods that require an oven (although I am in the market for a crock pot). However, I have gotten more creative and even strayed during the school break from the three meals I typically make. Generally, I do a rotation between chicken (either with paprika and cheese or marinated in pickle juice and topped with salt, pepper, and paprika) with mashed potatoes and green beans, paprikás krumpli (potatoes with Hungarian paprika), and lecsó (peppers with egg cooked Hungarian style). I also started making palacsinta (Hugarian crepes). During the last school break, I was with one of my counterparts who pulled out a treasure from her fridge, a type of food I have yet to find in the States, the gem of my new diet: curds. Now, I mean smooth curds, like before cottage cheese becomes clumpy. In Hungary, there are sheep curds (juhtúró) that are used in various meals, from dinners and spreads on bread to dessert fillings. Here in Mongolia, people typically eat camel curds (the highest quality) and cow curds, while sheep, goat, and horse curds are available but not popular. My CP had a half kilo of camel curds, which I was lucky enough to have bestowed upon me. I had just made palacsinta with which túró as a filling goes perfectly. I made túró from half of the camel curds and used the other half to make körözött (Hungarian spread with paprika and onions). Boy was I happy that week. I’ve also made fruit mixes from frozen fruits: strawberries, blackberries, and lingonberries. I typically add brown sugar, lemon juice, and cinnamon to make a delicious fruity filling. Sometimes I add oatmeal to the mix and freeze it, siding it with whipped cream. The best dessert I have made so far is called madártej (which literally means “bird milk” and is similar to the French dessert called “Floating Islands”) and required about 3 hours of hand-whipping egg whites with two forks (early onset of carpal tunnel on the horizon). It turned out exactly like my father’s, which made me extremely proud. One time I even made buffalo chicken dip with ranch dressing found in Arvaikheer and cheddar cheese, hot sauce, and cream cheese from UB; it tasted about the same as buffalo chicken dip but wasn’t as much of a dip as it was chicken with some cheese added to it (probably because cheese is so expensive I didn’t want to use a lot and hot sauce isn’t as diluted as buffalo sauce is so I didn’t want to use too much). I also made chicken soup for the first time (although I only had beef bouillon cubes). Most recently, I experimented with rizses hús (Hungarian style meat with rice and eaten with pickles) and maple syrup glazed carrots for Thanksgiving (by request, not a personal favorite). Rather than using beef, I used chicken, and it turned out to be delicious, especially with pickles as a side-dish. Of all my cooking attempts, only two have gone poorly. One time I added oil to the palacsinta batter per the recipe online (this was before I was sent my Dad’s famous recipe)… This resulted in the crepes breaking apart and sticking to the pan no matter how burnt they got. They still tasted okay at least. However, my worst cooking experience was the first time I made pasta. I had read online that one can never add too much salt to pasta, so I proceeded to add too much salt. On top of salty pasta, I was attempting to use beef, which seems to have a strange aftertaste here in Mongolia. I was hoping that cooking the beef in the pasta sauce I was making from tomato paste would mask the taste. This was not the case. I powered through and ate all the pasta, but it was quite the feat. My mother researched online and found that soaking the beef and mutton in lemon juice can rid the meat of the aftertaste, so perhaps this will be included in my next experiment. I am excited to continue to experiment with Hungarian meals and hopefully become adept enough at cooking them that I can move on to Mongolian meals like buuz and tsuivan. We’ll see whether this goal ever reaches fruition. Wish me luck! P.S. 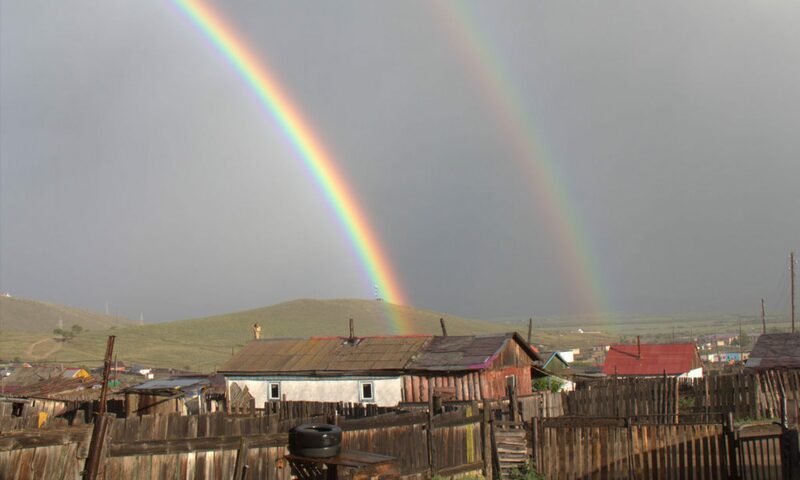 Don’t worry about cooking if you’re considering coming to Mongolia with the Peace Corps… you’ll definitely learn to cook, and think of how much easier cooking will be when you’re back in the States. I know I do! I fully expect to be able to cook delicious feasts once I’m back home. How delightful, cooking Hungarian in Mongolia!